For a change in pace, the Vinsiders have chased down one of our local growers to discuss the current vintage and ask what it’s like to grow grapes in the Canberra region. Let’s just say the prospects are good. 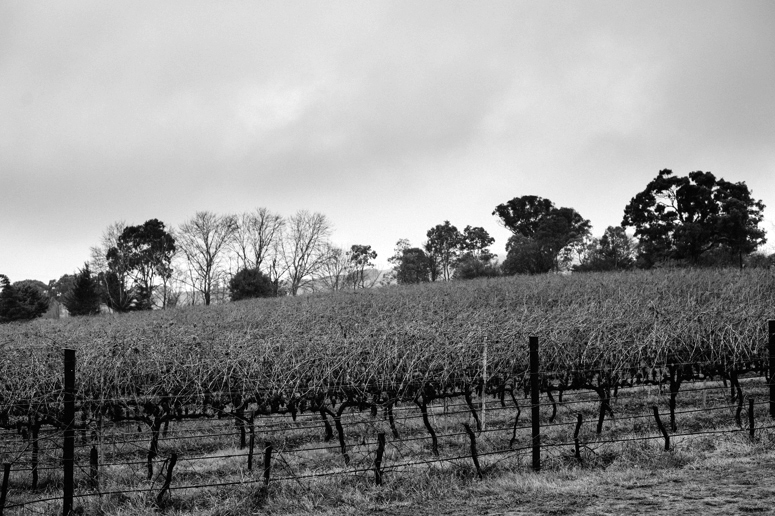 The Four Winds Vineyard was planted by Suzanne and Graeme Lunney in Murrumbateman in 1998 with a mix of shiraz, riesling, sangiovese, cabernet and merlot. It is 30 acres large and contains 30,000 vines. Bill and Jaime (daughter of Suzanne and Graeme) Crowe are the Four Winds Vineyards’ winemakers. Bill moved to Canberra from the United States in January, 2011, after meeting Jaime whilst winemaking at Garguilo Vineyards in Napa Valley and getting married. After three cool to very cool vintages and two wet and difficult ones, Bill almost didn’t believe that the Canberra summer could actually be hot. The 2013 vintage proved very different, with Canberra recording its hottest summers’ day on record and warm temperatures extending into May. We caught up with Bill, drank some wine, drank some more wine and asked a few questions about his experiences of the current vintage. Bill, vintage 2013 was much warmer and drier than the previous three. How would you summarise it? 2013 was a near perfect vintage for growing wine grapes. The vines started out with plenty of water and we made it through flowering and bunch set without much trouble. This lead to a nicely balanced crop. We only had one serious rain event that we were slightly worried about, but it came early enough in the season that the grapes had plenty of time to bounce back before harvest. What impact has the hotter vintage had on the flavour profile and quality of your fruit? The hotter vintage has allowed for the grapes to reach their full flavour ripeness which we haven’t seen here on our vineyard for the past two years. The wines are showing the strong varietal characteristics that you get out of a cool climate. Were there any moments leading up to harvest that you were nervous about? There was one rain event that had me scared. It started raining the exact same day as the storm that hammered us the year before. Luckily it did not last as long and the grapes were not as far along in their growing cycle. They weathered the storm extremely well and had plenty of time to regain their full intensity before harvest. 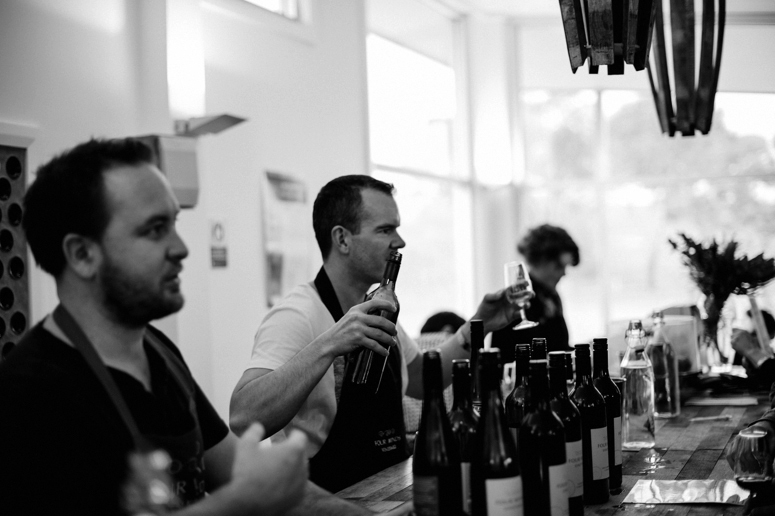 How do you currently rate the 2013 Four Winds’ shiraz and riesling, which are widely recognised as Canberra’s two lead varieties? The 2013 Riesling and Shiraz that we have in tank and barrel are outstanding. The 2013 Riesling has a strong fruit presence which balances out its natural acidity. It is a balanced, fruit forward wine that will drink great now but will only get better with age. It is still a bit early to tell with the Shiraz, but so far I am extremely happy with what we have in barrel. It is showing a depth, complexity and level of richness that I feel the Canberra district red wines have lacked in the last two vintages. The Four Winds Sangiovese has gathered quite a following. 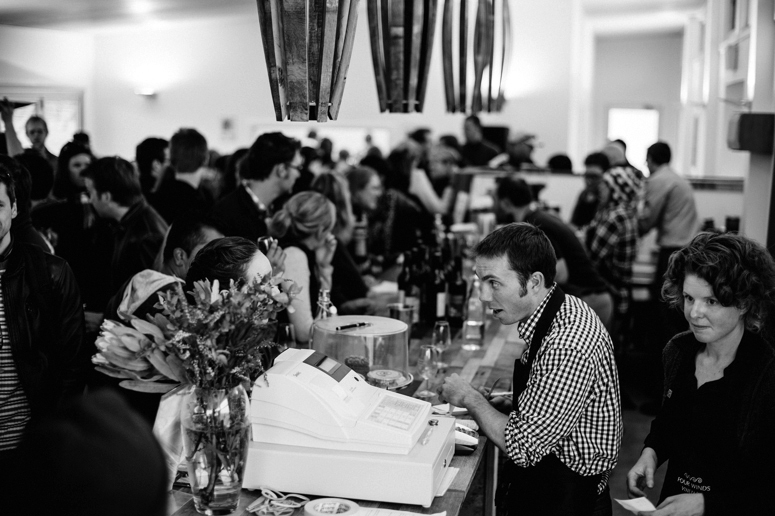 How did it fare in 2013 and where do you see it’s future within the Four Winds wine portfolio? Our Sangiovese is something near and dear to my heart. We only have 300 Sangiovese vines planted which allows me to personally look after them during the growing season. The 2013 vintage is a lot deeper and intense than the previous vintages. It seems to be a variety that does really well in the Canberra region. We don’t have much on the vine so it will continue to be a boutique wine for us. I honestly think in the next couple of years it will be a wine that we will sell out of within months of its release. 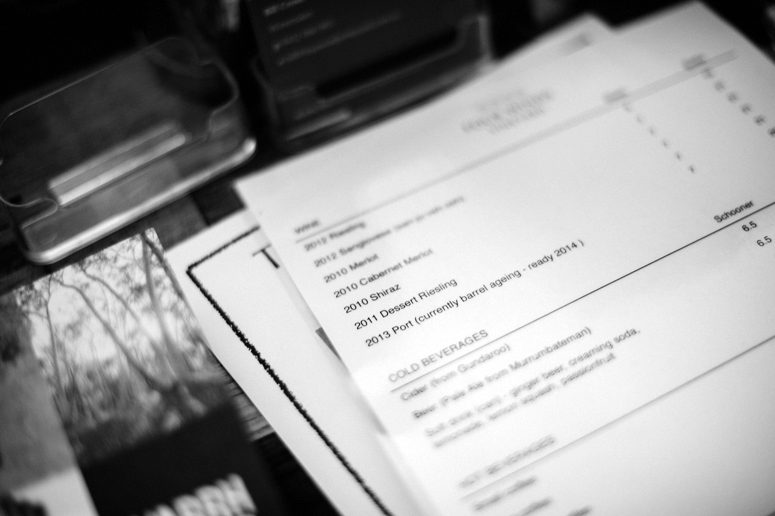 We got the chance to try a few 2013 barrel samples and certainly share Bill’s excitement for the vintage. 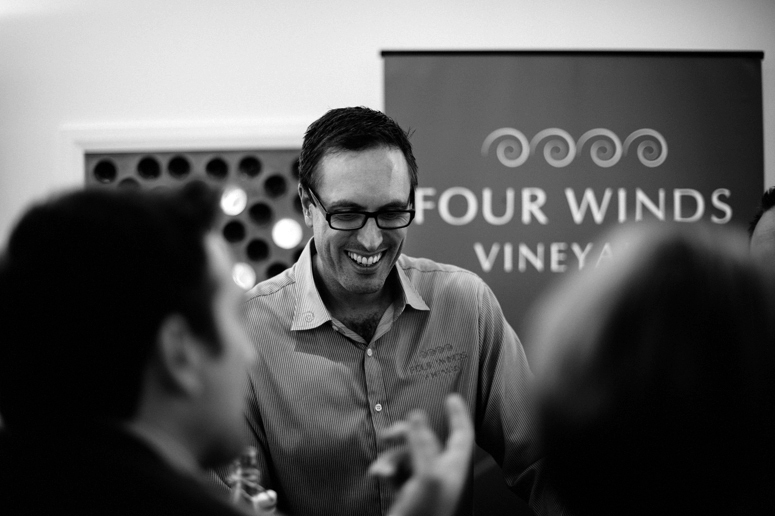 Four Winds Vineyard recently opened their new cellar door on 1 July 2013.